Conference Series Ltd invites all the participants across the globe to attend 3rd International Conference on Advanced Clinical Research and Clinical Trials Dublin, Ireland. Many headache patients self-medicate and choose their preferred analgesic from a range of acute analgesics available on the high-street and from community pharmacies. Little is known about their presenting symptoms, headache diagnosis and their preferred treatments. A questionnaire was distributed to community pharmacies in the Munster region of Ireland and was administered to patients requesting treatment for headache. A total of 1023 completed questionnaires were received, 76.7% (n=765) were female and 51.8% were aged 18-39 years. 53.3% (n=542) were not previously diagnosed by a GP and 49.6% (n=502) had never sought advice from a pharmacist. According to the symptoms described, 32% (n=327) had episodic migraine and a further 15.2% (n=155) had probable episodic migraine. 30.3% (n=310) had tension type headache. 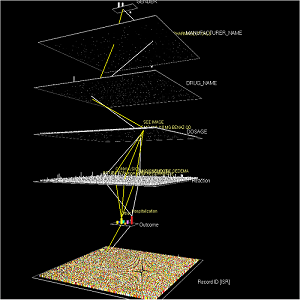 10.7% (n=105) had chronic daily headache. 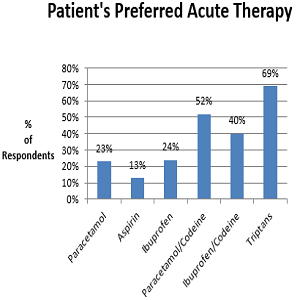 Codeine based products were the preferred treatment choice for 43.1% (n=441). Triptans were the most effective, 68.6% (n=166), in those for whom they were previously prescribed. 11.8% (n=121) had medication-overuse. The community pharmacist is an important resource in headache management. An expanded role incorporating best practice management guidelines has the potential to improve the outcomes for many headache sufferers.